The first day began with a tour of our new home for the summer, the Bindley Bioscience Center. Susan, our favorite administrative assistant, showed us around and gave us the basic safety training. The remaining hours of the day were spent designing universal promoters and ribosome binding sites, creating protocols for future assays, identifying methods for a lung mimic creation, and reviewing literature for identifying bacteria living in the lungs. We resuspended the DNA primers that we designed at the end of the day. On Tuesday, we enjoyed writing our biographies for the Experiment campaign and the Wiki before continuing the work that we had started the previous day. We also contacted researchers studying bacteria in the lungs, asking for culture donations. On Wednesday, we had our first team meeting with our advisor Dr. Rickus in which we presented the work of the week. We got feedback about our progress so far and experts we should contact for advice. We found five possible universal RBSs (see image below), all of which are novel to the iGEM registry, and ran them through a software that models transcription rates. A bill of materials was started and we contacted companies about discounts and in-kind donations. We also received an email from Dr. Weimer of the USDA, offering to donate Megasphaera elsdenii culture! Thursday, we prepared for a meeting with our other advisor, Dr. Solomon, and graduate student advisors. At this meeting, he gave us more feedback about our work thus far and recommended other possible on-campus contacts. We wrote up more protocols for creating gene constructs, preserving bacteria, transport assays, benzene quantification, and in-vitro enzyme activity. The beginning of Friday included our team meeting with Dr. Sors in which we discussed our project and he gave us some ideas for expert on-campus contacts who would be willing to help us with our project. Afterward, Kevin, Caleigh, and Archana met with Dr. Cooper from the Bindley Metabolite Profiling Center and received approval to use his gas chromatograph for our benzene, toluene, and xylene quantification protocol! Additionally, we decided upon a method for preserving bacterial cultures for long-term storage, created gBlocks from the universal ribosome binding sites, and completed more protocol writeups. Universal Ribosome Binding Site WebLogo Plot: The above image shows potential universal ribosome binding sites found by comparing various RBSs from species of bacteria known to inhabit the lungs and throat, as well as other unrelated bacteria. 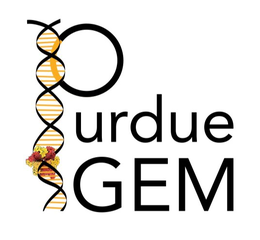 Five sequences found are novel to the iGEM registry. This image was created with Berkeley’s WebLogo application.